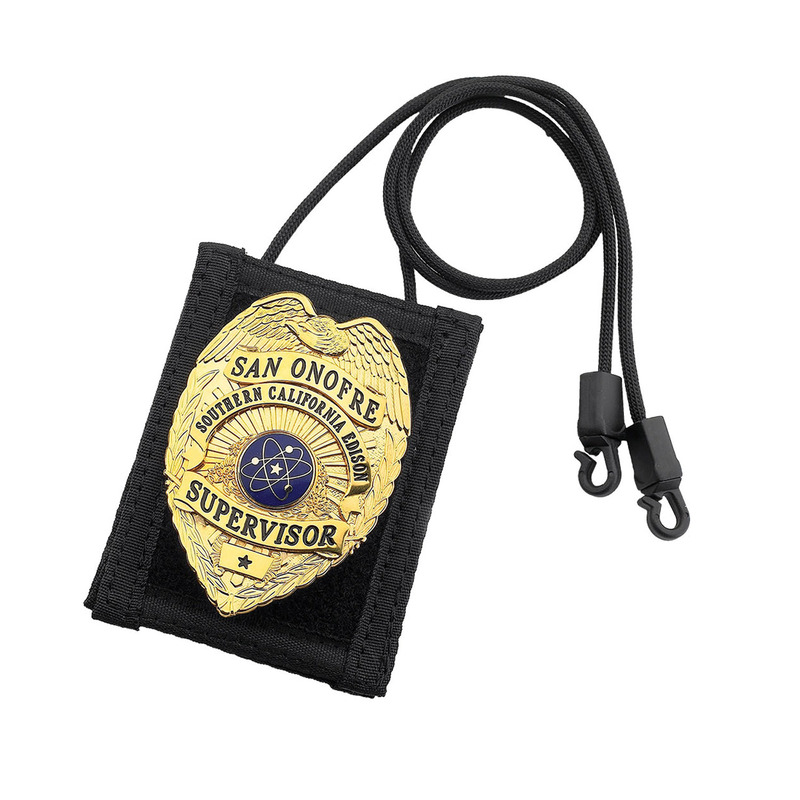 functional badge holder on the market period!. 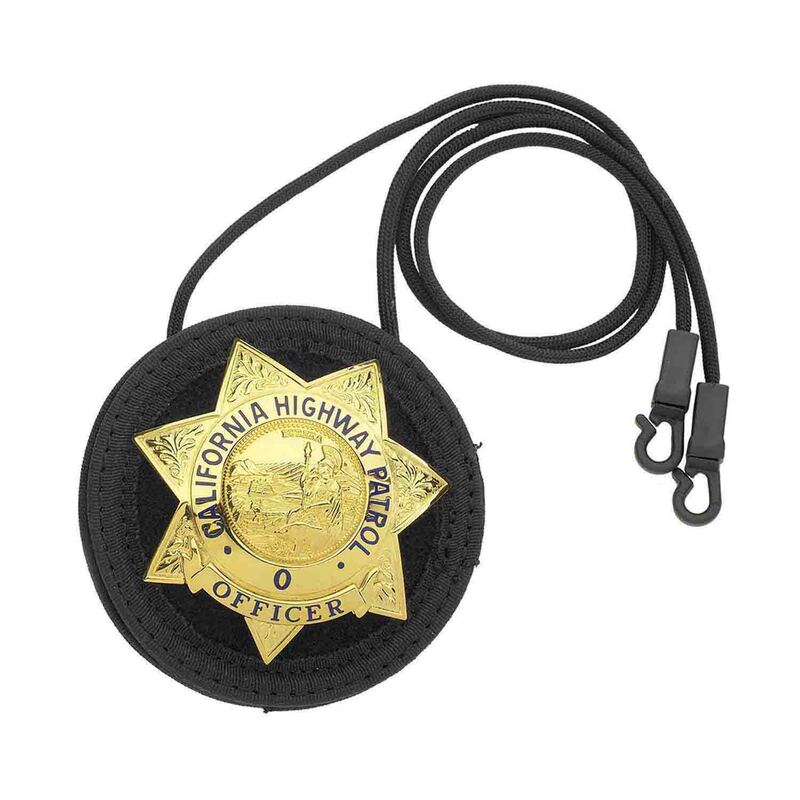 Designed by police officers for law enforcement and security. done, simply peel the badge off and slap it back to the neck hanger. It is that easy! Molle or PALS webbing vest. You can even buy an extra PALS backer and leave it on your Molle tac vest. Available in square, for oval badges and round for Sheriff’s star. 1000 Cordura Nylon and industrial Hook & Loop. Heavy duty stitching and grommets. Works with any needle backed badge or flat badge.